Alaap B. Shah, Member of the Firm in the Health Care & Life Sciences practice, in the firm’s Washington, DC, office, was quoted in Inside Health Policy Daily News, in “After a Busy Month in Cyber, HHS Rebrands Its Cybersecurity Center,” by David Roza. 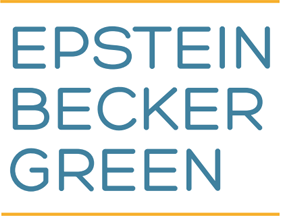 Alaap Shah, a member of the firm at Epstein Becker Green, said there is some confusion about the naming, since the official program is still called HCCIC in fiscal 2019 budget planning documents, and threat intelligence briefs are released as HCCIC guidance and also carry HC3 references as the source of the content. Shah explained that HCCIC serves as the current official program title, while HC3 is the operation center devoted to carrying out the program mission. The lawyer said it is unclear whether the name HC3 will replace HCCIC entirely. HCCIC came under scrutiny in June, Shah recalled, when several members of Congress wrote to HHS Secretary Alex Azar expressing concerns that the department wasn't making enough progress in cybersecurity relative to the HCCIC mission. HHS responded to the letter in October with information about its progress, he said, and the department brought up HC3 as the vehicle by which the mission would be carried out. Still, he said the letter didn’t mention HHS’ plans to rebrand HCCIC as HC3 and launch the HC3 operational center. HHS’ announcement caps off a busy National Cybersecurity Awareness Month, particularly for FDA. Less than two weeks before the HC3 opening, FDA and DHS announced a formal agreement to share cybersecurity vulnerability information about medical devices, and under which FDA will advise DHS on the risk of device cybersecurity threats to the health of patients and the public. The agency also released a new draft guidance on cybersecurity considerations for medical device premarket submissions, which device industry experts praised as a vital update to a 2014 guidance on the same topic.